today I'd like to share the most handy and interesting tips and tricks for iPhone that can be used every day. Maybe you already know some of them, and maybe they will be new for you. Anyway, I hope that my article will shed the light on some tricks that will be really helpful in the everyday life. If you have kids, the situation when they ask your iPhone to play games may be familiar to you. Guided access will be useful for doing this. You can lock your phone down for a certain application, prevent others from using the Home button or other buttons such as Volume and Sleep. You can even block some parts of screen by using this option. So, kids or friends, whoever you give your iPhone, won't get access to the things that you don't like them to. To activate this feature, visit 'Settings', select 'General', find 'Accessibility' and then go to 'Guided Access'. Turn it on, and... voilà! You are ready to use it from this moment! Imagine the situation when you use an app and suddenly you realize that you need to visit Spotlight Search just from that app, immediately. To do this, swipe the screen down to make the search box appear and let it go after feeling some haptic feedback. You'll be transferred to Spotlight search instead of usual Notifications center. It will open along with the quick search keyboards. This trick won't need any special education and you can try to do this just now with your iPhone. Give it a try! This feature is present on iPhone 6 and later versions. 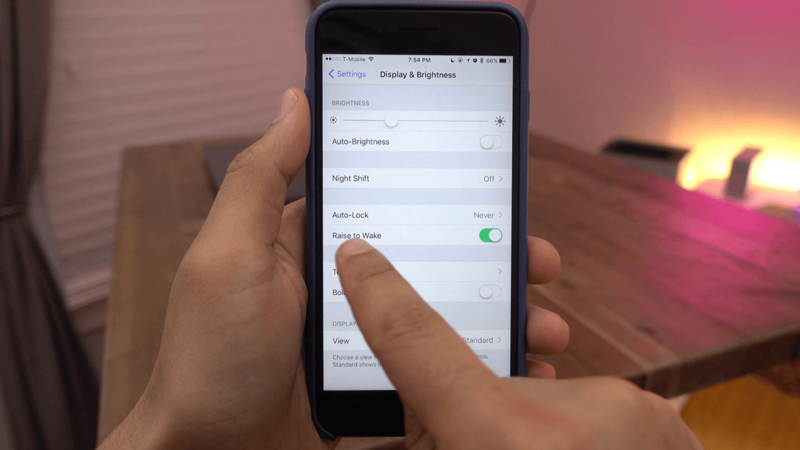 Reachability allows iPhone users to access the content at the screen top easily, in case your device is large and its dimensions vary from 4.7 to 5.5 inches. 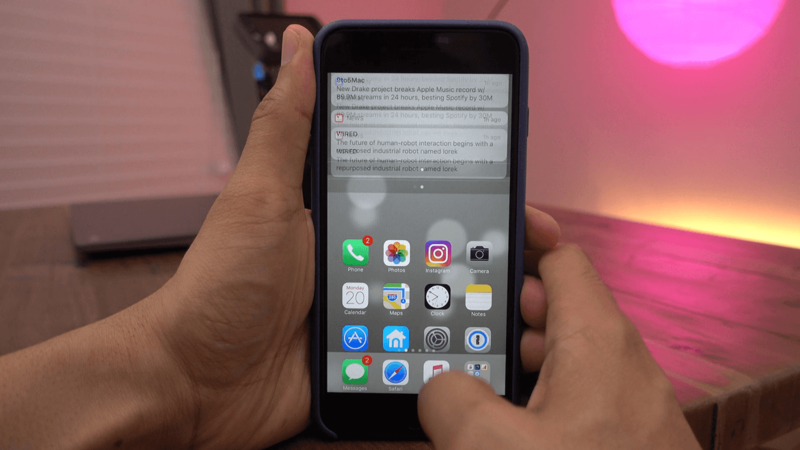 I bet that most of you didn't know about this useful feature of accessing the Notification center with the help of Reachability. Double tap your 'Home' button. This will invoke the Reachability function. Then, swipe down the place where a status bar usually appears and you will invoke Notification center. Sounds easy, right? You can try this option now, if your iPhone is pretty large. I bet this feature will make your interaction with the device much more comfortable! 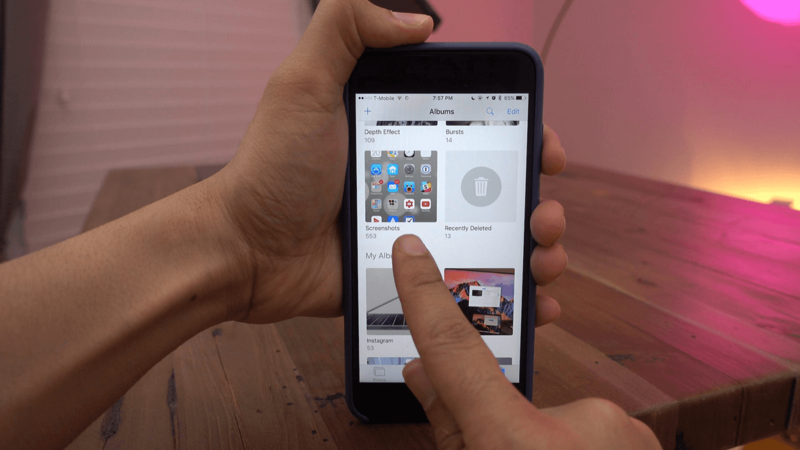 This trick will be useful for people who use iPhone 6s and later with a 3D Touch available. You may use this 3D Touch feature to print your photos to PDF. Use it on the preview which opens with tapping 'Print' in the share sheet of iOS. By the way, this method will be also helpful for sharing your PDF files with other applications. Those who use older iPhone versions without 3D Touch can access this festure as well. 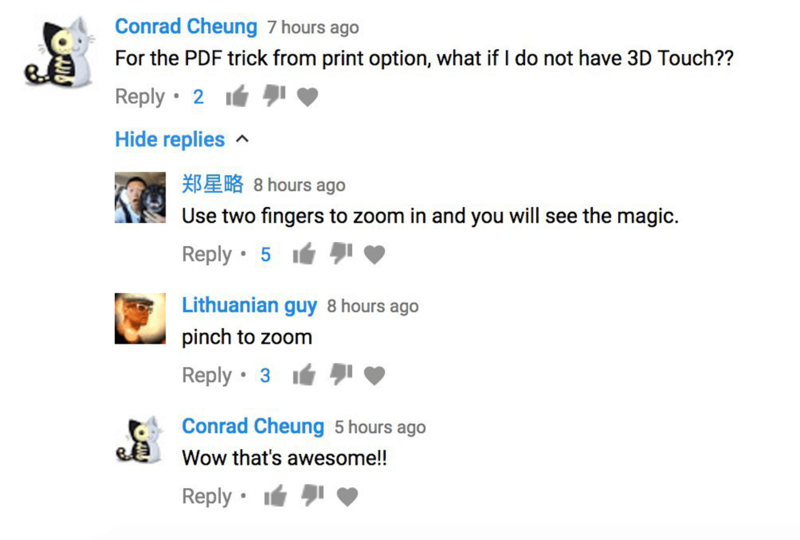 You should do a 2-finger pinch gesture to print to PDF. This handy trick is available in iOS 10. I use it regularly and it is really handy when I need to close everything at once without wasting time for closing each tab one by one. To do this, tap & hold the tab switcher and select Close X tabs. This will shut down all the opened Safari tabs. It is another one great feature for those who know the price for their time. I bet mostly everyone who uses iPhones, don't know where a specific app is buried and the search for it can last for ages, especially if you have know idea of where it can be. Surely, Apple users look for them with Spotlight search. Nevertheless, their is a shorter way for coping with this problem. Use Siri to launch such 'buried applications'. Tell Siri to "Launch [app's name] or to open [app's name]". After saying these words, the app you need will run. You even won't need to type its name into the search line. It will take you just a couple of seconds, really! Personally I enjoy such things, as they are so much user-friendly, thank you, Apple. Those who use iPhone 6s, SE or later, should be familiar with the 'Raise to wake' option. This feature can be enabled in 'Settings' and its 'Display & Brightness' section. It makes you iPhone to wake up automatically after raising the device. It works when the device is locked and its screen is turned off. What's more, after laying your iPhone down, it will sleep again and the screen will become dark automatically. This feature is ideal for those situations when you want to view notifications or to check the time without any excess movements. So, I hope that this tip will help in saving your time. If you have even entered the Photos app (and I bet that everyone has), you should know that there is a special album for different screenshots. A collections of screenshots made by your will be found there along with the screenshots from other connected Apple devices you use, for example, your Apple watch. Here you can find all the screenshots including old ones, or delete all of them in case you don't need them anymore. So, this tip will help you to get more free space on your device and to remind yourself of some useful info that may those pics contain. A nice news for people who use the latest 3D Touch enabled phones. This tip works only for such devices. 3D Touch the 'X' button that is situated next to the Notification center heading. It will help you to clear all the notifications from it. Doing this step will reveal the 'Clear all notifications' button that will delete them from your screen just in a fell swoop. If you have noticed that your device became acting a bit flaky, you should try to clear the apps out of iPhone's memory. Press & hold the 'Sleep' button until iOS tells you to 'Slide to the power off' phrase. After it appears, release the button and press & hold 'Home' until the system returns to the Home screen automatically. That's all! Your apps were cleared out of iPhone's memory. Try to do something on your device. Has it become faster? That's it! Did You Know All These Tips? I hope that my article revealed at least a couple of useful secrets to you. If you have something to share, please comment, I'll be glad to discuss.